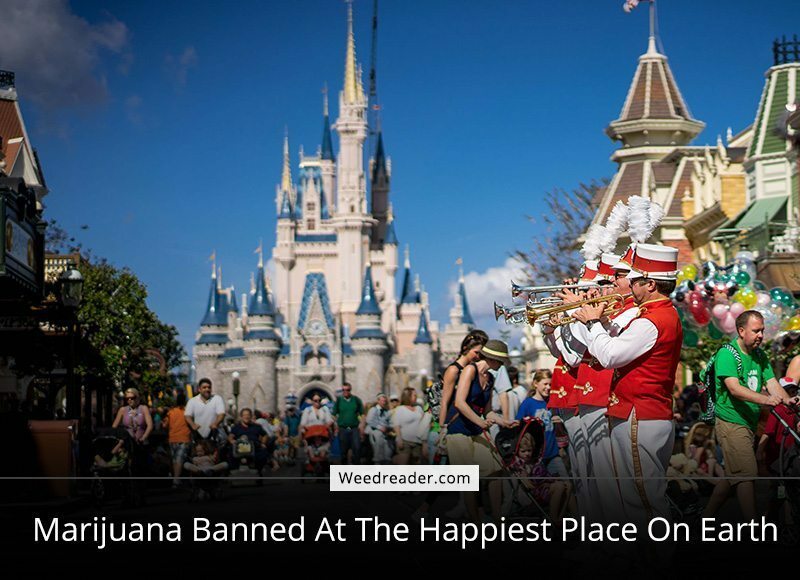 Marijuana Banned from Disneyland and Disneyworld! Anyone caught bringing marijuana into the park or found smoking it on premises will end up in Disney Jail! Marijuana banned from Disneyland and Disneyworld indefinitely. According to High Times, Walt Disney World has forbidden Cannabis of all types from their parks in California and Florida. Coincidently, marijuana just became legal in California and Florida. Despite the current legal state regulations Walt Disney World has continued their strict prohibition on alcohol and marijuana. Social perceptions have evolved over the years and Disney has kept an iron-grip on its ‘child friendly’ reputation. What Else is Banned in Disney Worlds? Cannabis and alcohol are not the only things banned in both resorts. Selfie sticks, drones and of course weapons of any kind are absolutely banned from both parks. Walt Disney World will continue to ban these items because their parks are attempting to cater to a broad family friendly environment. Some religious schools, churches and other organizations that are not known to be progressive would stop attending both theme parks if they allowed the banned items. This makes up a majority of their sales. The Walt Disney corporation would lose millions of dollars if over half of their customers stopped attending. Why yes, plenty of people attempt to sneak-a-toke. The wait time for several rides are hours long, and eating cannabis is easier to quickly ingest and get away with than smoking a joint. Others have reported taking a quick vape hit because it’s harder to spot who just took a hit or where the scent is coming from. So yes, there are lots of people who are sneaking bits and hits here and there. Many people will still take a risk and consume cannabis somehow because they have legitimate ailments and cannot wait till the end of the day to consume marijuana in some form or another. In the end, ailments don’t just go away because it is an inconvenient moment to have them. People who use cannabis as a medicine simply won’t get to experience Disney magic unless they keep it under wraps.